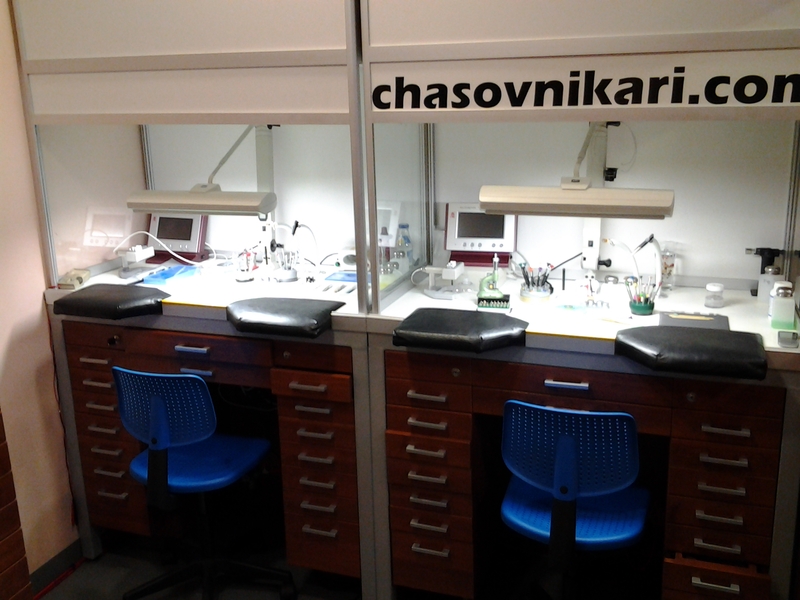 Our Workshop has hi-end equipment for repairs of every type of watch's mechanism. 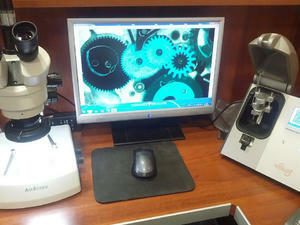 The initial inspection is performed by specialized microscope with built-in digital camera. 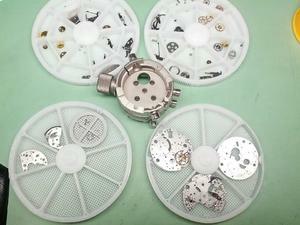 This allows to reveal every problematic section and faulty part of the watch. 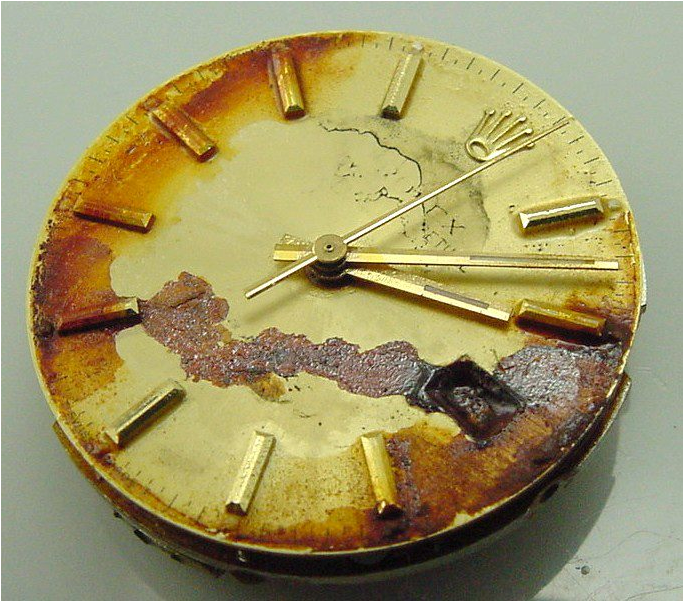 After this stage the service specialist logs all problems found and prepares the watch for the next stage of the repair process. 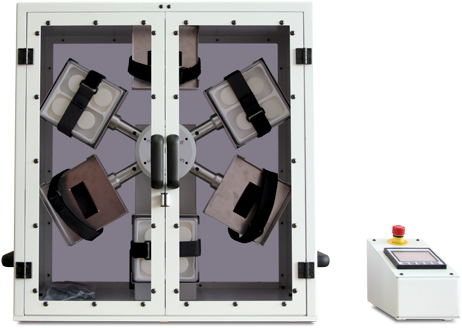 At this stage the accuracy and power the watch are measured by vibrograph machine. 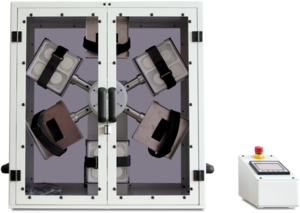 The apparatus rotates the watch in 2 horizontal and 6 vertical directions and the measurements are performed at every point. Such testing helps the watchmaker to identify the exact problematic part or section of the watch movement. We are surrounded by numerous electromagnetic fields emitted from personal computers, TVs, mobile phones etc. The magnetic field strongly influences the precision of watch mechanism. Our services has state-of-the-art instrument for detection of the even lowest value of the magnetic field that the watch had accumulated. After watch movement repair, the watch is assembled and tested. Then the watch is disassembled again and every part is arranged in specialized plastic trays for ultrasonic cleaning bath. We are the only Watchmaker shop in Bulgaria that performs ultrasonic cleaning of watch's individual parts using such plastic trays. 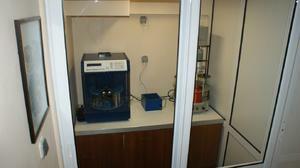 The ultrasonic cleaning is performed for 40 minutes using 3 specialized solvents. After cleaning the watch is ready for final assembly. The services watch is inspected for correct operation and accuracy. 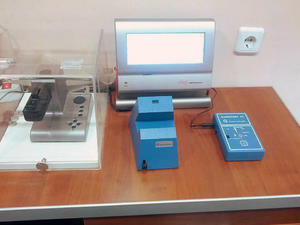 The water resistance is checked by vacuum and pressure testing using digital equipment. The next stage simulates the 3-day wrist wearing of the watch by specialized automated equipment. If all test are passed the watch is given 2-years warranty for the repairs done. Every watch has a number of rubber gaskets that are prone to aging. Untimely replacement may lead to severe damage of the watch movement and subsequent expensive repairs.